Discover a small village of fairy creatures and embark on a fascinating adventure where you will help the inhabitants to restore their world. What is behind the mysterious, omnipresent mist? What secret lies behind the wistful spirits who are now roaming the place? 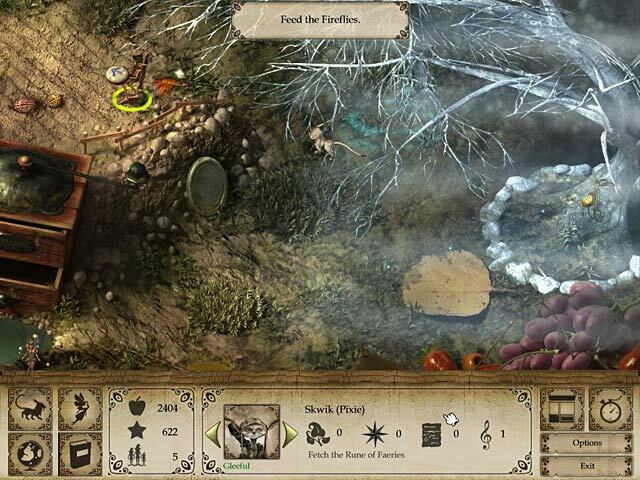 With the help of fairy, solve these mysteries though numerous quests and restore your shop’s splendor of old in Little Folk of Faery, a fun Time Management game. 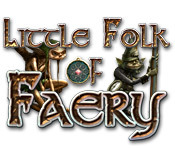 Little Folk of Faery is rated 4.2 out of 5 by 21. Rated 5 out of 5 by FeatherHead3 from Fascinating and educational The Bestiary is really well done with detailed sketches and information about creatures, I'd say it's worth buying for that alone. The artists who researched the creatures did a wonderful job drawing them for the game. Faeries' movement is also very realistic, the way a leprechaun will start a jig and a pixie swings its arms. 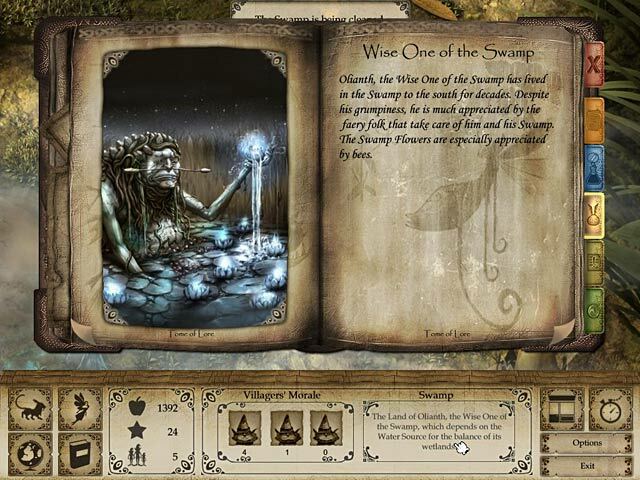 The Wise One of the Swamp also has a lot of wisdom to give and as long as you avoid those startling Wistful Spirits the game's pleasant (I still wonder where they came from, the Bestiary said no one knows, although I'm sure they know themselves and perhaps reveal it in one of their sad stories?). I'm really happy to have this game and help the faeries out with their tasks, they always seem busy and it's nice being part of the experience. (I think only the background was a bit dull, of all the art, which was otherwise well done and why I got the game; some elements like the hand of titan and the cards were a little purposeless to the theme and story. I think artists are good at rendering, but sometimes why certain things they render go together doesn't make sense and throw off the theme). Rated 5 out of 5 by bigfishshark411 from I enjoyed playing this. Quite a nice little game it is a kind of very elaborate Virtual Villagers. Notes can go to black letters and be hard to read. I have not found the health and talent icons they said we could customize so if there aren't any that must just be what you drag the vill... opps fairies onto. That needs some work by the game makers. the fairies blend into the background a bit to much. But it is a nice and rather fun little game. The music repeats the same little tune and is kind of annoying but you can turn it down or off in options. Rated 5 out of 5 by EnvirEng from Beautiful and Relaxing I think this is an absolutely delightful game. The graphics are a joy. Sounds pleasant but a bit other-worldly. You need to direct the Little Fairies to learn new skills and complete tasks necessary to restore their world to its former glory. Mainly that means repairing things and keeping the Wistful Spirits at bay. This isn't the kind of game you can play for uninterrupted hours on end. The game continues running even when you aren't playing and many tasks take a while to complete. So, it is best to assign tasks, shut the game down for a while, and come back to it. Host banquets to attract more lost fairies, pick up runes and Ent roots for extra enchantment points. Just exploring the little world is fun. You really can't do anything wrong. There is no timer, so take all the time you want to get everything done. Some have described this as a strategy game. Well, you have to make sure you have some fairies with the right skill levels to complete tasks and some tasks have to be done in a certain order. But, there really isn't much strategy. It is just a relaxing, lovely game. The thing I liked most was the care and thought that went into the game's clever design. So much wonder packed into such a little space. In the past, I haven't been a fan of these types of games. I hated the Villagers game. (My villagers kept dying.) The little folk get along just fine without you. So, no, they aren't going to starve to death because you went away for the weekend. Highly recommend if you are looking for a fail proof, relaxing game. Rated 5 out of 5 by kaluca from I love this game! It was done a bit differently than games similar to it, I really liked it. It's in my top 5, along with Totem Tribe and Virtual Villagers. Rated 5 out of 5 by cassjarn from plays itself I loved this game. I could set the characters to work, go away and come back when they had finished. I loved the artwork, and the little world. Hope there will be a sequel. Rated 5 out of 5 by Galactic_Moogle from Unique Fantasy Game This is unlike any game I have played before. I think if you like fantasy creatures, you will like this game. It was very cute and well put together. I am very glad I bought it. Rated 5 out of 5 by Mom2MartyB from What a neat Little Game :) I really, really like this little game. It take a few minutes to catch on, but once you do, it's fun. The graphics are wonderful and such a change, and the little Fae who helps you is not annoying either.....give it a go! Rated 5 out of 5 by Amijane from An unusual virtual game! I play a lot of HOGs and TMS but I'm not very found of virtual strategy games normaly. I think the dragging and dropping people around is both boring and feels a bit awkward really. They usually die/get ill while I'm away so I've never bought any virtual game after the trial period. But this one is soo different! The game do go on when you're not there but the faery ppl can't get ill or starve while you're away. 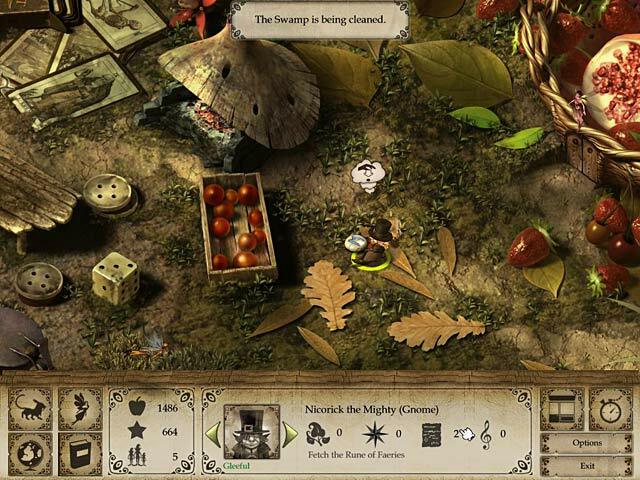 The graphic is fantastic and somehow helping the tiny faery people in the Old Curiosity Shop feels perfectly natural. They're not supposed to be more than a couple of inches tall so giving them a lift by dropping them onto different locations feels absolutly natural for once. I also like that the play area isn't too big so you risk to completely loose sight and track of you're villagers. If you play a lot of this kind of game you'll probably enjoy the graphic and the story but might think it's too easy. But it is very special so I think both experienced and new players should give it a try! Discover a small village of fairy creatures and embark on a fascinating adventure! Help the inhabitants to restore their world!